The pressure is starting to mount at the top of the table as Liverpool failed to win for the second consecutive game, drawing at West Ham, while they could begin the weekend in second spot should Manchester City beat their Merseyside rivals, Everton, in midweek. 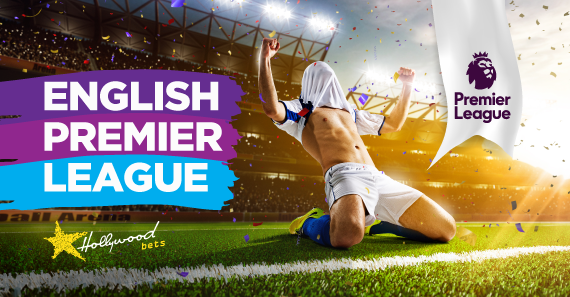 The Premier League was still up to its usual tricks elsewhere as some of the heavy-hitters showed their class, while it was all about grinding results for the others as the table continues to throw up more surprises. The top four changed drastically as Arsenal dropped from fourth to sixth, while Chelsea regained their UEFA Champions League place after hammering Huddersfield 5-0. Down at the bottom, Cardiff City made a massive statement of intent as they beat Bournemouth 2-0. With 13 weeks of action still to play, the planet’s toughest league is expected to get only more exciting. Fulham’s inconsistency at the highest level reared its head in their latest defeat, as they crumbled at Crystal Palace, losing 2-0 to their relegation rivals. Up next, Claudio Ranieri’s men face a rampant Manchester United, who are looking to break into the top four for the first time since the arrival of Ole Gunnar Solskjaer. The Red Devils are still unbeaten under the tutelage of the Norwegian and with Paul Pogba and Marcus Rashford currently in sublime form, only one outcome can be expected. Back Man United to claim maximum points here at 13/20. Talk choking is starting to around Liverpool once again as the Reds failed to win for the second consecutive time, drawing 1-1 at West Ham on Monday night. Jurgen Klopp’s men still boast a three-point lead at the top of the table, but that could all change in midweek should Everton not get any points off Manchester City. The Reds will be hoping to see the return of Trent Alexander-Arnold and Georginio Wijnaldum, who were sorely missed in their stalemate against the Hammers. After their impressive 4-0 thumping over Chelsea, Bournemouth suffered yet another setback, losing 2-0 at Cardiff. The Cherries have also lost their last seven away games in the league. Take Liverpool on the (-1) Handicap here at 11/20. Crystal Palace ended their three-game winless run with a commendable victory over Fulham last weekend. Michy Batshuayi made his debut for the Eagles and was heavily involved in Palace’s second goal. West Ham come into this clash off the back of one of their most impressive results of the season, holding Liverpool out to a 1-1 draw. The Hammers showed that they have the firepower to match any team in the league on their day with Felipe Anderson showing that he has the ability to mix it up with one of Europe's biggest clubs. Inconsistency has been a factor, though. Perhaps Under 2.5 Goals seems the best bet here at 8/10. All eyes will be on Watford and Everton this weekend, with both sides struggling for consistency. The Hornets overtook Everton in eighth place last weekend with their hard-fought goalless draw at Brighton, while the Toffees were demolished 3-1 at home to Wolves. The last time these teams met, there was no shortage of goals, with the scoreline ending 2-2 on the day. Perhaps not the same result will occur this time around, but with both defences looking rather shaky, back Both Teams to Score at 7/10. Huddersfield seem destined for the drop after suffering their third consecutive defeat, losing 5-0 at Chelsea. That result also extends their winless run to 12 matches in the Premier League. Furthermore, the Terriers have not scored in their last four encounters. Arsenal also seek a return to winning ways after going down 3-1 at Manchester City. That knocked the Gunners out of the top four and down to sixth place, while they’re yet to keep a clean sheet away from home this season. Against what is statistically the Premier League’s third-worst team ever, Arsenal should bounce back with a win here. Southampton were unlucky not to collect maximum points against Burnley, conceding a penalty right at the end of the match to share the spoils at 1-1. The Saints have been superb under Ralph Hasenhuttl and are unbeaten since the start of the new year, enduring a five-game run without tasting defeat. Cardiff looked highly motivated in their 2-0 win over Bournemouth and they gave a decent account of themselves against Arsenal in the match prior, but suffered a 2-1 defeat to the Gunners. This is a massive six-pointer with both teams looking to avoid a relegation scramble come end of the season. For betting purposes, my money will be on the home side. Brighton ended their losing streak with a commendable goalless draw at home to Watford, but the Seagulls still find themselves winless in five games. Burnley drew their third consecutive match in the league this campaign, but still carry that impressive unbeaten record which dates back to December, last year, where the Clarets have not suffered defeat in six encounters. Sean Dyche has definitely turned things around at Burnley and could go level on points with Brighton over here, should his team come out on top. At 7/10, the Away Double Chance looks a solid bet! Tottenham will be hoping to extend their superb three-game winning streak when they welcome Leicester City to Wembley Stadium this Sunday. Spurs have forced themselves back into the title race with their never-say-die attitude, despite losing Harry Kane and Dele Alli through injury. Leicester City come off the back of a defeat to one of the ‘big six’, losing 1-0 at home to Manchester United. But, many would argue that the Foxes are much better away from their home turf, allowing teams to come at them, where Claude Puel’s men have a better chance of getting results through counter-attacking football. They recently got a point at Anfield and beat Chelsea at Stamford Bridge. I’m backing Leicester City on the Win/Draw Double Chance at 12/10. Click here for a full preview of this fixture. Wolves have tightened their grip on seventh spot in the standings for now, with the sides below them too far down to overtake them this week, while the gap to the ‘big six’ is still far too wide to bridge. The hosts are on a three-game winning run and are free-scoring at the moment, finding the back of the net 10 times in that run. Newcastle were relatively defensive against Tottenham, eventually losing 1-0 at Wembley. Newcastle may avoid a relegations scramble at the end of the season – but I’m not expecting things to go their way against the top half teams – especially away from home. Back Wolves here at 15/20.